Could not put this book down!! Fresh off of Dead Scared also by S.J. Bolton I started this and read it straight through. Not part of the Lacey Flint series, this was the author’s debut stand alone novel. Chilling thriller in which the sense of dread builds exponentially. The twists and turns leave you scared to death for Tora Hamilton. Red herrings are plentiful and DS Dana Tulloch even makes mention of the term, which was quite clever. Tora, the protagonist a surgeon and Dana, a police officer are well crafted, likable characters, as are the others in the book. The setting of the Shetland Islands adds so much to the story, that it is almost another character, in the style of Ann Cleeves or Elly Griffiths. The sense of isolation on the islands is made even more eerie by the hints and warnings of the danger that faces Tora. The story is based on some particularly gruesome historic legends from the Shetland Islands and that historic piece is incorporated believably with the modern story. Having read two other books by this author, I continue to be impressed. I am especially impressed by the range exhibited by her. All her books I have read so far have been thriller/mystery types, however the characters are very distinct, the settings are varied and the plots are very dissimilar. A great read! I have one more book out from the library by this author and I am tempted to start it right away. This entry was posted in Book Reviews and tagged book, library, mystery, review. Isn’t it great to find an author whose books you really like and who has a large back catalogue? 🙂 Great review, I know nothing about the Shetland Islands so it might be interesting to read this and learn something about the setting. I know, it is nice to not have to wait for another book to come out. Ooh, SO adding this to my wish list! I have a book on my shelf by S.J. Bolton, something about Don’t Fall Asleep.. the title is escaping me but it looks fantastic too! I love a great mystery thriller! I have been reading my was through S.J. Bolton books recently. 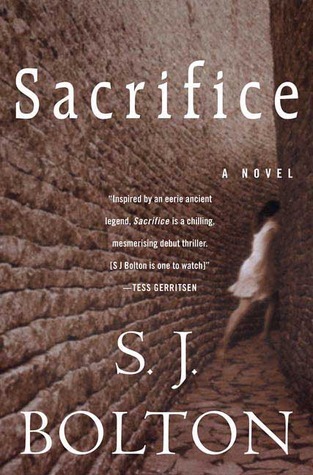 She is a great thriller/mystery writer.